Christian, Jewish, or Muslim. This can be an important part of your identity, but it is not the whole of who you are. People are caught in these notions and images, and they cannot recognize each other as human beings. The practice of peeling away all the labels so that the human being can be revealed is truly a practice of peace. Breathing in, I am aware of my body. Breathing out, I smile to my whole body. A message from Plum Village. We hope those of you who were at the 21-Day Retreat will appreciate reading a full exposition of Thay’s teachings on the Cosmic Body, reincarnation, life-force, and so on. 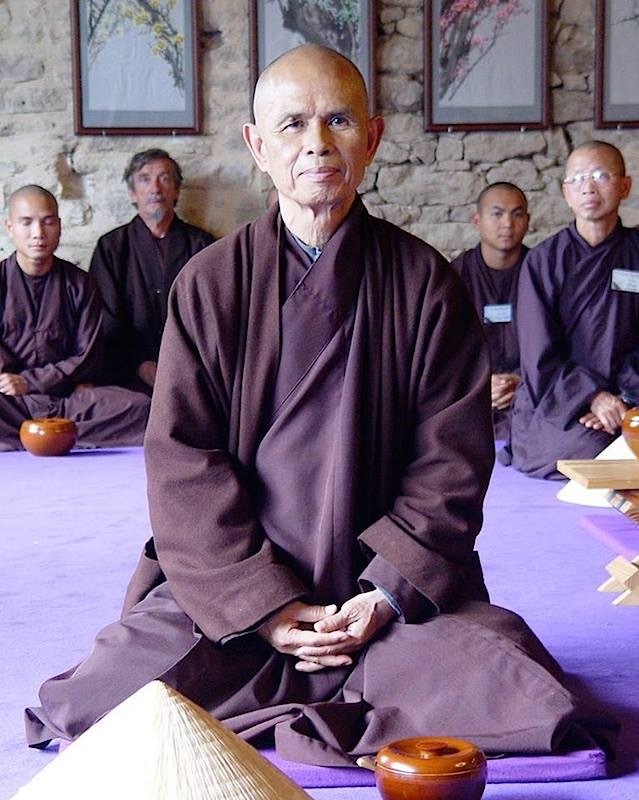 And those who missed the retreat will have a chance to discover some of Thay’s precious teachings before his stroke. 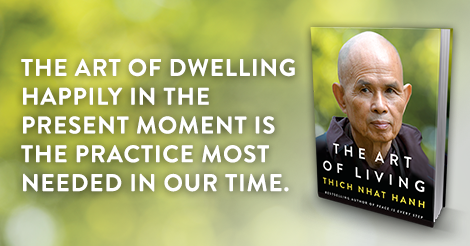 In THE ART OF LIVING, Thay’s insights are set within the context of the Seven Concentrations he focussed on in the last year or two of his teachings: combining the 3 Doors of Liberation with the last 4 Exercises of Mindful Breathing (making a total of 7). We are grateful for the support of HarperOne publishing, in allowing us to produce an accessible yet profound Dharma book, that we hope will be an inspiration for Thay’s students everywhere, and a support for the deepening of our collective practice. We hope that many of you will have a chance to read and study the book, as individuals and as sanghas. We invite you to get involved by writing an honest review on THE ART OF LIVING Amazon page, and by participating in discussions on the book’s Goodreads page. 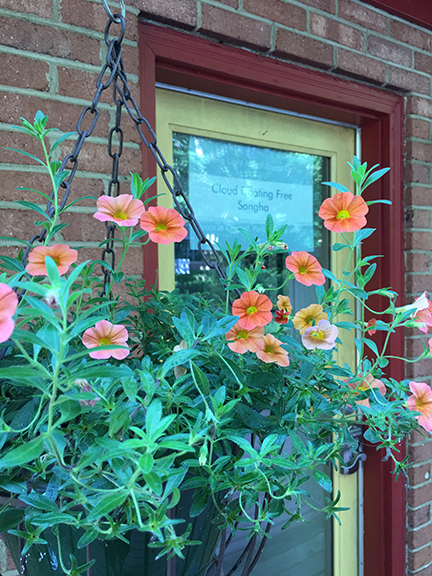 We’d especially love to see comments and reviews from those of you who attended the 2014 21-Day Retreat, and who’ve already had a chance to put these teachings into practice. Perhaps, in the future, monastic and lay Dharma Teachers may be able to offer some structured study of the book, along the lines of Br Phap Hai’s wonderfully successful “The Sun My Heart” Book Club. If you have any ideas for this, please let us know. The tradition of joining our palms together and bowing when we meet someone is very beautiful. Millions of men and women in Asia and around the world greet each other that way every day. 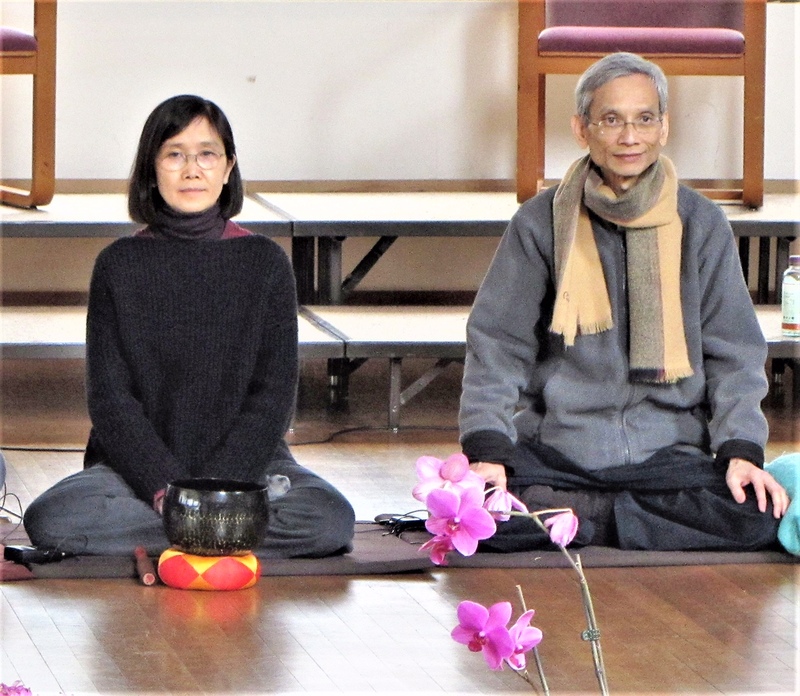 Forming a lotus bud with your hands is very pleasant. I hope you will try it from time to time. If a tulip blossom is more familiar for you to envision, you may want to say, “A tulip for you, a Buddha to be.” A tulip possesses the Buddha nature just like a lotus. When someone offers me a cup of tea, I always bow respectfully. As I join my palms, I breathe in and say, “A lotus for you.” As I bow, I breathe out and say, “A Buddha to be.” To join our hands in a lotus bud is to offer the person standing before us a fresh flower. But we have to remember not to join our palms mechanically. We must be aware of the person we are greeting. When our respect is sincere, we remember that she has the nature of the Buddha, the nature of awakening. If we look, we can see the Buddha in the person before us. When we practice this way regularly, we will see a change in ourselves. We will develop humility, and we will also realize that our abilities are boundless. When we know how to respect others, we also know how to respect ourselves. As I bow, mindfulness becomes real in me. Seeing my deep reverence, the person to whom I bow also becomes awake, and he may like to form a lotus and bow to me, breathing in and out. With one greeting, mindfulness becomes present in both of us as we touch the Buddha with our hearts, not just with our hands. Suddenly, the Buddha in each of us begins to shine, and we are in touch with the present moment. Sometimes we think that we are superior to others – perhaps more educated or intelligent. Seeing an uneducated person, a feeling of disdain may arise, but this attitude does not help anyone. Our knowledge is relative and limited. An orchid, for example, knows how to produce noble, symmetrical flowers, and a snail knows to make a beautiful well-proportioned shell. Compared with this kind of knowledge, our knowledge is not worth boasting about, no matter how much formal education we have. We should bow deeply before the orchid and the snail and join our palms reverently before the monarch butterfly and the magnolia tree. Feeling respect for all species of living beings and inanimate objects will help us recognize a part of the Buddha nature in ourselves. In the West, some people prefer to shake hands. Whatever form you use, if you greet others mindfully and respectfully, the Buddha is present.